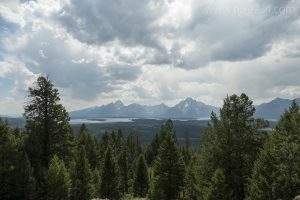 Grand View Point, near Jackson Lake Lodge, features impressive views of Jackson Lake backdropped by the Tetons to the west and Two Ocean Lake and Emma Matilda Lake to the east. The trail immediately begins to climb through an airy forest. This trail, while short, is steep. At the junction with the trail to Emma Matilda, stay left where you soon reach open hillsides. It then alternates between forest and open meadows. Near the top you come to a dome with great views toward Two Ocean Lake. 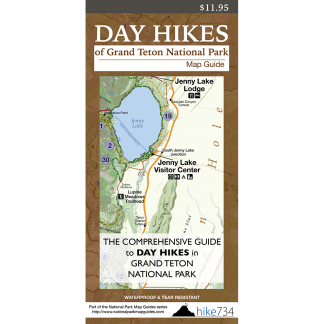 The trail drops to a saddle, then quickly climbs to another dome with fantastic views of Jackson Lake and the Teton Range. Trailhead: The unsigned, dirt road is 0.8mi/1.3km north of the turnoff for Jackson Lake Lodge. Stay right at the first junction and follow the road to the trailhead.